The reports which follow are thus not “leaks”, but rather based on planned releases of information. These releases are part of a public Acclimation Program, an official though unacknowledged U.S. Government policy of “processed release of information”, as Dr. Wolf described it. The Apollo 10 astronauts brought back the message captured on film. 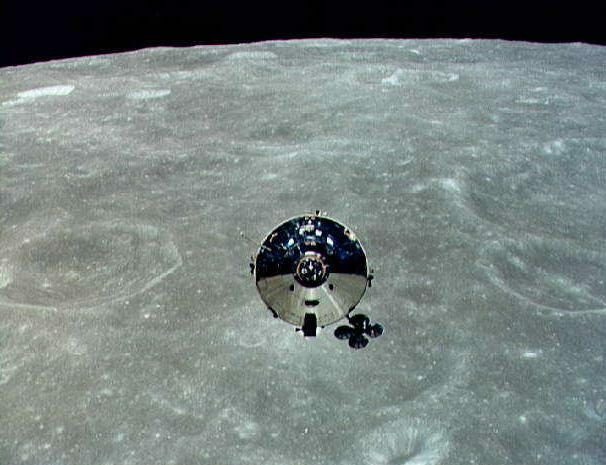 The Monolith’s energy affected Apollo 10’s instrumentation, so that its crew almost didn’t get back. As soon as the film Apollo 10 took came back to Earth, those Intelligence compartments which deal with UFOs were busy poring over information from the Monolith. The government then used an early secret military space shuttle to go get the Monolith itself. This covert military spacecraft flew years before the first “official” NASA Shuttle‘s public flights in 1981. The spaceplane is operated by a secret military astronaut program out of Vandenburg Air Force Base, California, among other locations. The second flight mission of this unacknowledged military shuttle retrieved the Monolith, and brought it back to Earth in 1972 for study. Among the scientists who worked on it were famed astronomer Dr. Carl Sagan, U.S. Army Intelligence and Security Command General William Stubblebine, (ret. ), National Security Council consultant Dr. Michael Wolf, and a former division head of CIA. Everyone who had prolonged close physical contact with the Monolith got cancer, Jesse says. “And those who tried to dissect it [the Monolith] died right there on the spot.” The CIA Counter-Intelligence official and Dr. Wolf got colon cancer. The CIA man required surgery, but Dr. Wolf’s cancer later went into a spontaneous remission. Dr. Sagan eventually died of his cancer.